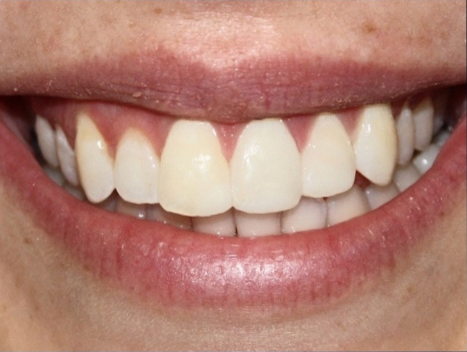 Veneers are very thin, custom made casings that cover just the front side of your teeth. They can be used to correct uneven teeth, worn enamel, discoloration, chipped teeth and irregular spacing. In some cases, veneers can also serve a restorative purpose by protecting a damaged tooth from further harm. First visit: Consultation & Records. You’ll review your concerns with one of our cosmetic dentists. We’ll be happy to let you look through before and after photographs of his or her work to make sure you feel 100% comfortable with the provider you choose to see. Then, we’ll take impressions of your teeth and send them to one of our most trusted dental labs to create a model of how your teeth will look when the treatment is complete. This lets you visualize the final result on models of your own teeth, and make sure you are completely satisfied. Second visit: Temporary veneers. Your dentist will review the mock-up with you to make sure you’re happy, and prepare your teeth so your veneers have room to fit perfectly without feeling bulky. He or she will then cement a set of temporary veneers. 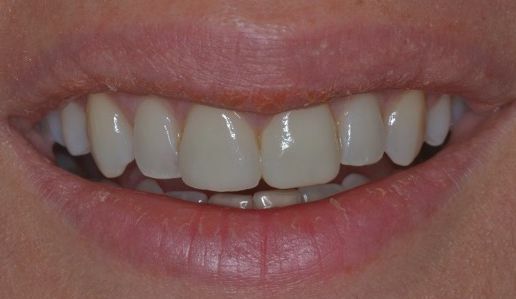 They will look very nice, but still won’t be sturdy or feel natural like the final porcelain veneers. While you’re wearing the temporary veneers it may be difficult to pronounce certain words, and you may experience some sensitivity during this time. 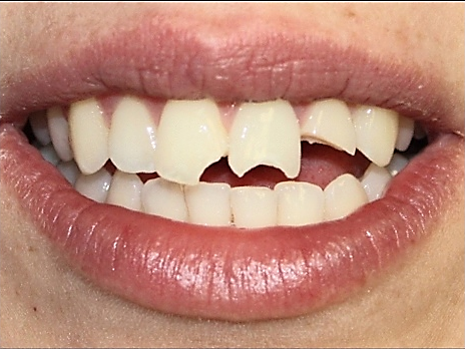 It’s not uncommon for temporary veneers to fall out in two-week break between the second and third visit. Just let us know if this happens and we’ll fix it for you at no additional fee. 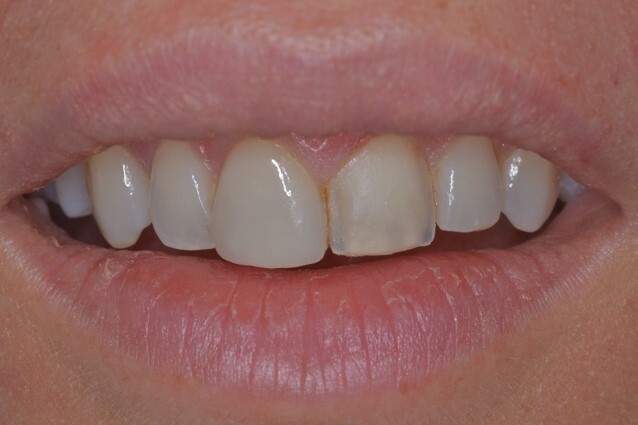 Third visit: Permanent veneers. All the while, the artisans at our dental lab will be at work crafting your final veneers. Once we receive then, we’ll schedule an appointment to remove your temporary veneers and place your final set of porcelain veneers with permanent cement. At this visit, your dentist will adjust your bite to make sure you can speak and chew properly. It will take a little bit of time to get used to the final teeth, but you can now eat whatever you like (except for rocks), and smile in every photograph! Fourth visit: Follow up. We’ll see you for a quick follow up to double check everything is fitting perfectly, and take photographs of your beautiful new smile. Veneers will usually be between $1,500 and $2,200 per tooth. We want to do everything we can to help veneers fit within your budget, so we have several different options. Depending on the number of teeth involved, with our flexible financial arrangements you could pay anywhere from $190 to $1,000 monthly with no interest. One of our financial coordinators will be happy to work with you individually to help create a plan that works for you. If you’re ready for veneers, you can schedule a no-charge consultation with Dr. Lhota or Dr. Winokur. Both dentists are very experienced with porcelain veneers and will be happy to help give you the smile of your dreams.